2 images. 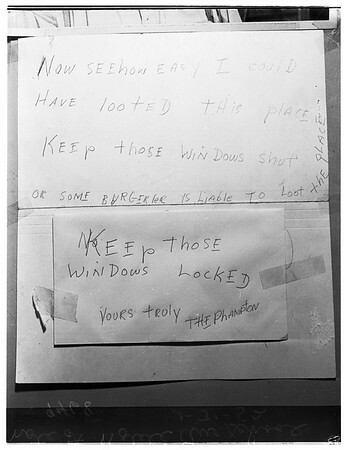 Note left at school by "The Phantom: warning school to close windows against possible "Burgeller", 31 January 1952. Noble Avenue School in Sepulveda (not in picture).